When it comes to decorating your home, most of the people think that beautiful interior will increase its magnificence, but the same is applicable to your outdoor garden or patio. So, you must also involve yourself in choosing the just right outdoor furniture. Take huge efforts in decorating your outdoor space, along with your interior to pay some extra dividends to your home. Amongst the useful pieces of outdoor furnishing, dining table is an important piece, which offers you with a wonderful dining experience with your family and friends. When you decide on purchasing a piece of dining table for your outdoor space, you can go through the internet or a few furniture stores nearby your place and look for them. Outdoor dining tables are available in a wide range, so it’s pretty natural that you get confused. Don’t worry, you just need to keep a few things in mind, which will head you towards the just right decision. Before starting, take into account the number of members in your family, so as to decide on the number of chairs and size of your dining table. Once you are aware of the count, you can pick the correct size that can easily accommodate all your family members for meals. Before picking the size, make sure you have that much outdoor space available. Finalize the exact space and then look for an appropriate piece of outdoor dining table. Take your own time in deciding the style as well as design for your piece of furniture. If you want the just perfect one, prefer taking a round walk around your garden as well as your home, you will definitely get an idea on what style and design will suit your space. 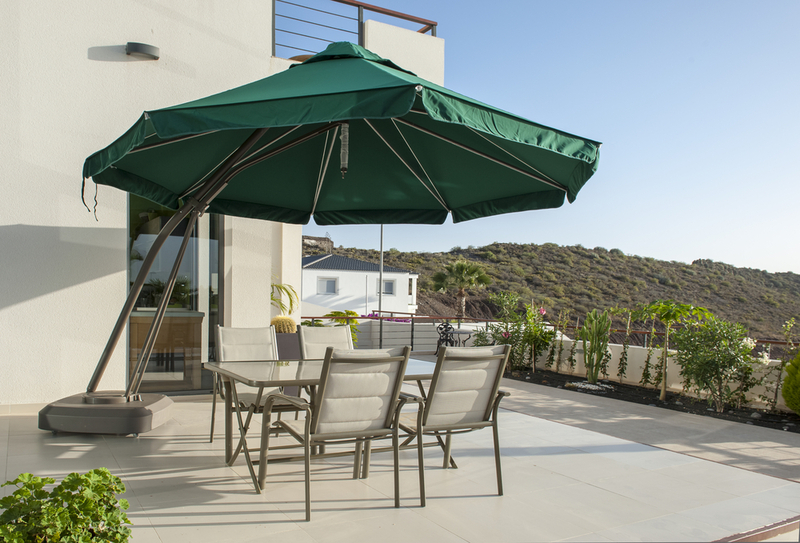 While buying any type of furniture for your outdoor, keep in mind the all your needs and requirement behind purchasing that piece of furniture. You can go various furniture outlets, to find the best deal that not only matches your style, but also fulfills all your dining requirements. Before all, put a look at your budget and opt for the one that is easily affordable. Don’t go behind your budget and finalize on the most expensive one, which is just unaffordable for you. Make proper estimation and decide the budget for your outdoor dining table. Before choosing any piece for your outdoor space, consider the benefits of having a dining table in your garden. Think on all the aspects such as design, style, material, color, finish and size of the table, in order to make the pertinent selection. After getting thoughts on the style and design of your home, select the same for your outdoor plot or patio. Whatever may be your style whether modern, contemporary or antique; you will definitely get to see a variety of pieces that just compliment the overall setting of your home. Another essential thing that you need to consider is the material of that dining table such as wood, glass, chrome, metal or aluminum. It also adds to the classic appearance of your home. You can even select a dining table made of different materials such as wooden frame and glass top or glass top with chrome finish and aluminum or metal legs. Types are many you just need to go through them and firm up on the one that endures the beauty as well as magnificence of your outdoor space. After thinking on the material, look over the color of your dining table whether it has black high gloss, Canadian oak wooden finish, white gloss, beech, walnut or some other color, as it should also match with your existing décor. Aside from all this, you should decide the strength and durability of the table that you choose for your outdoor space. It should last for a longer time, standing stiff in every condition. This will help you select the just best dining table for outdoor dining with all your near and dear ones.